It has been reported today that the Val-de-Travers region of Switzerland has been granted PDO (Protected Designation of Origin) and PGI labels, which include the terms “absinthe,” “Fee verte,” and “la bleue.” Given that food labels used in Switzerland are now recognized by the European Union (and vice-versa), what this means is that traditionally-distilled absinthe sold in the EU and Switzerland may only bear the actual name of “absinthe” if they were made in the Val-de-Travers region, depending on how this action progresses and is interpreted/enforced in the future. The original statement may be found here. No. For starters, anyone with even a passing knowledge of absinthe, the French city of Pontarlier is far and away the most famous geographical area associated with absinthe. Was it invented there? No. Was its reputation built there? Most definitely, and without question. Anyone who attempts to argue otherwise is embarrassing themselves and probably has something to sell. The Val-de-Travers may rightly take credit for being the birthplace of absinthe. But just as almost every famous person in the world was born in one place and built their reputation somewhere else, so too with absinthe. 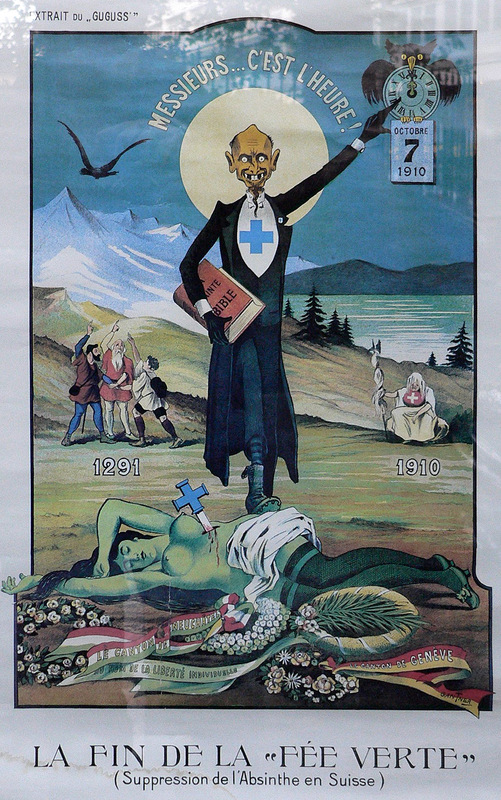 Pontarlier was the capital city of absinthe, and French distillation and consumption of absinthe in the 19th and early 20th century far outpaced that of Switzerland. 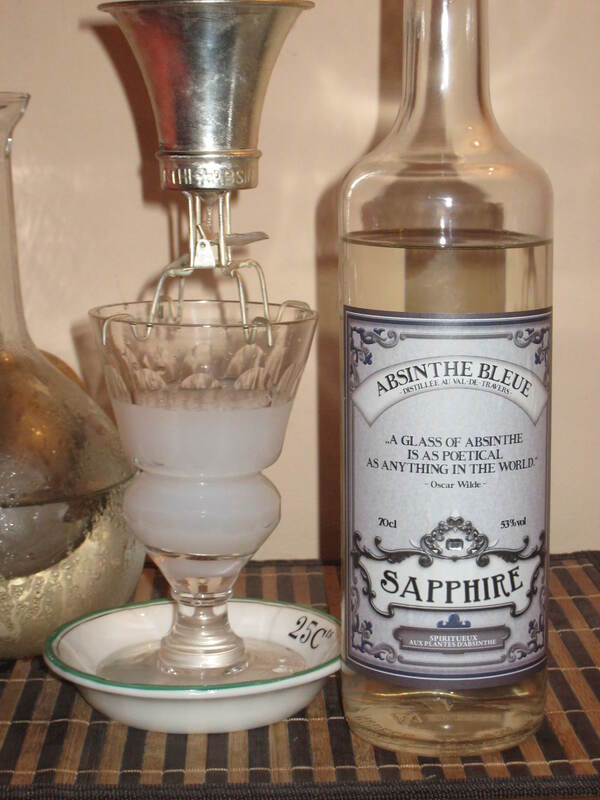 In addition, the “Swiss style” of absinthe is that of the clear (blanche), and production of green (verte) absinthe was very low, so to lay claim to the colloquial term of Fée verte is reprehensible. What’s more is that it’s shocking, considering how full of national pride both Switzerland and France are known for. There is a case to be made for the Val-de-Travers to establish a PDO for “la bleue,” but the fact that they would lay claim to a term which is historically proven to have made its name in France is astonishing. 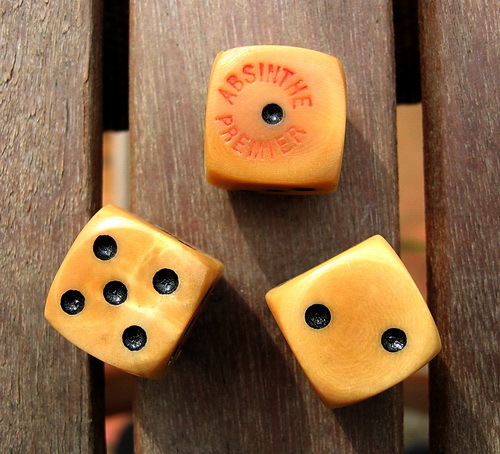 Of course, absinthe, aka the Fée verte, isn’t the only thing which is green, and it would appear that the potential revenue to be gained from a resurgence of absinthe is a factor in this pursuit of a PDO. Granted, the need to establish a formal definition of absinthe in order to protect the category from the faux-absinthe products pouring out of the Czech Republic is there, but that’s where the focus should have started and stopped. Genuine absinthe is not exclusive to a region – it’s exclusive to a list of ingredients and method of manufacture. In addition to Switzerland and France, absinthe of the 19th century was also made in countries as far away as the United States and Argentina (yes, THAT Argentina). For that matter, absinthe was made in Spain and continued to be made in Spain for over FIFTY YEARS after Switzerland made it illegal, and even then Spain didn’t ban the liquor – it simply fell out of favor for a time. If one country has to be given a Protected Designation of Origin, then let it be Spain, who actually protected real absinthe long after it’s birth-nation kicked it to the curb. Real absinthe has since been made in the afore-mentioned countries here in modern times, and has branched out to others like Germany and Austria, the Netherlands and South Africa. It will still be real absinthe regardless of what this PDO says, but it would be much more responsible and honest for the Val-de-Travers folk to acknowledge it. Establishing and protecting the definition of absinthe here in modern times while encouraging and applauding its continued manufacture around the world would be something that the Val-de-Travers and all of Switzerland could take some real national pride in.